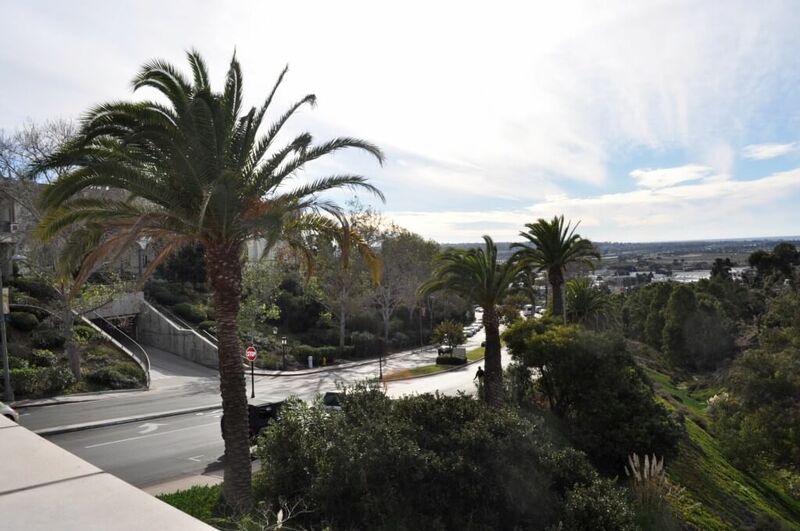 Toreros know it’s no secret there are some pretty fantastic views at the University of San Diego. 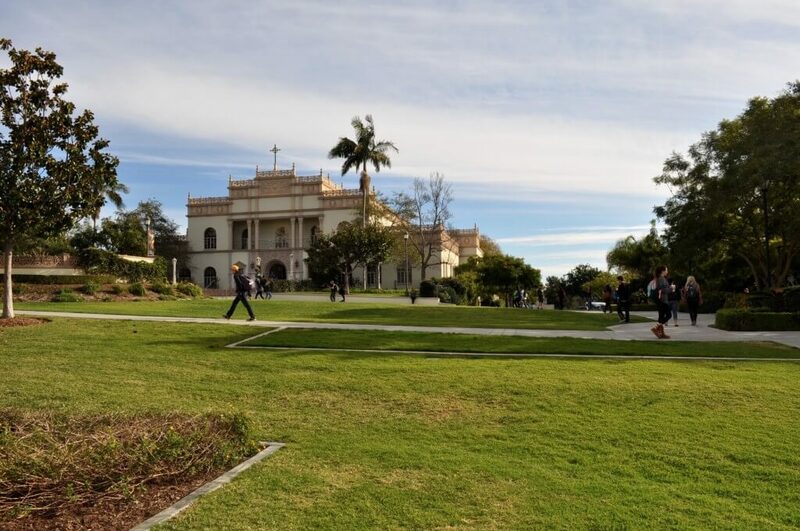 Although we have some engaging professors and rockin’ stats, our university is mostly famous for the lush lawns, Colonial Spanish architecture and incredibly insane views. However, the beauty of our campus easily slips our minds when papers and presentations start piling up, forcing you to lock yourself in Copley library or a windowless dorm room. Instead of escaping into a Netflix binge this finals season, try watching an episode of real life from one of these awesome spots with a killer view. No list of USD views is complete without the view behind the Institute of Peace and Justice. The breathtaking spot gives students a birds-eye look at the community that cozily nests us. “It’s my favorite view because you can see some of city as well as the water. I usually go alone, in between classes in the afternoon,” USD junior Matthew Roberson said. The scattered benches in front of the reflecting pool provde the perfect place to reflect on college pressures (pun intended). Head over to Immaculata Church for sights that will help you find your inner peace. Because the area is in the middle of the Colachis Plaza, it provides a first-hand look at bustling university life. 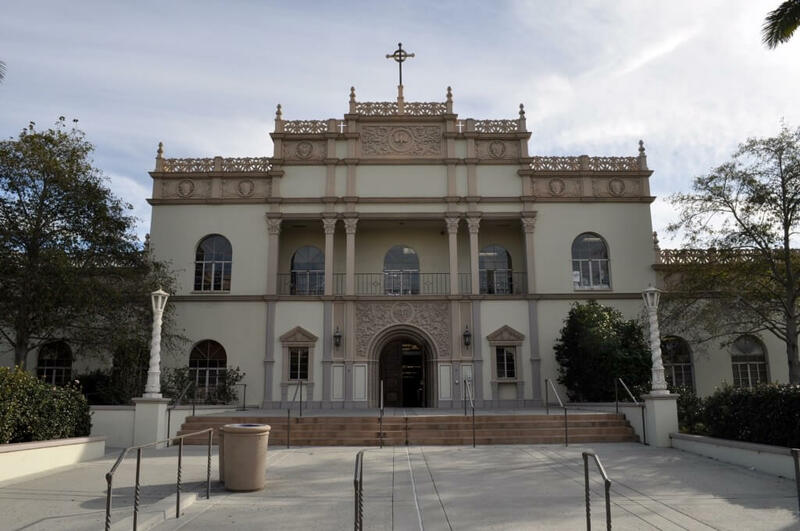 “Sometimes it’s nice to sit on the edges of the planters and take a second to chill, maybe watch people pass by and listen to the fountain or the bells of the Immaculata,” USD senior Christina Sarich said. Despite its locaton in the center of campus, Immaculata Walkway secludes itself from the walkway and keeps a relaxing bubble. With Aromas café neighboring to the left, arm yourself with snacks and settle in for some student-watching. 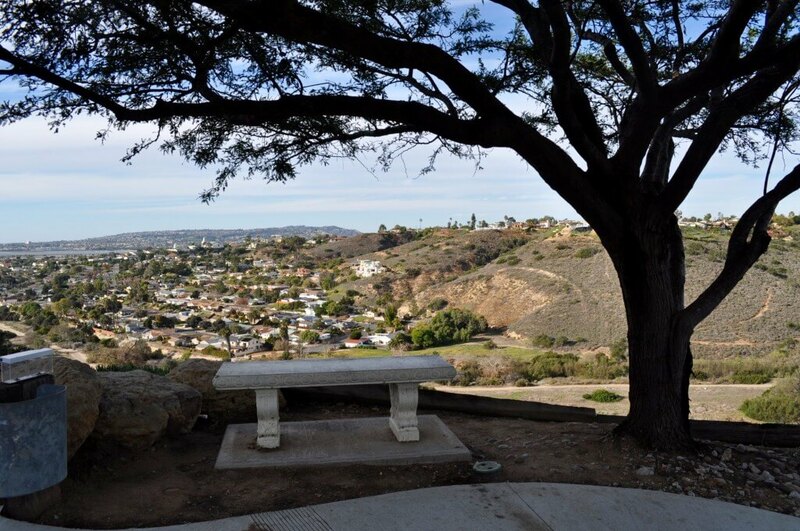 The top of Tecolote Canyon is a favorite among USD athletes and outdoorsy types. “[Seeing the view] signals the beginning and end of my favorite part of the day: A long run in the canyon. Also, if I finish my run in the evening, the cliffs perfectly frame the setting sun,” USD senior Jessie Longe said. Not down for a hike? There’s an awesome view of Tecolate through the windows of Missions A dorm, as well as accessible cement benches along the upper path. Students can enjoy the canyon whether out on a morning run or running late for an 8 a.m. class. Grab some grub and a chair on the patio for the ultimate experience outside Bert’s Bistro. “The view is most beautiful and serene right around the golden hour, just before the sun is about to set. There’s also a calmness that radiates from the beach in the distance and knowing that the day is slowly coming to an end,” USD junior Christina Belloso said. The spot is both food and friend friendly, so ditch your meal swipe and cash in some dining dollars for a change and drag your squad from your reserved SLP booth to snag dinner with a view. While climbing the dorm rooftop will likely land you in the P-Safe office, the fifth floor of Maher offers a less frowned upon option. Facing the Immaculata on the top floor, there’s a killer view of campus and beyond, painted with a sunset backdrop. “I like to listen to music [here] while I watch the sky explode into all sorts of sunset colors,” USD sophomore Tayler RV said. Plug in your headphones and tune into the sky show, which might shock you more than the plot twist on last week’s Scandal. Want a rooftop you can check out without consequences? Try the top floor of the Student Life Pavilion, which is now open 11 a.m.-3 p.m. on weekdays. “SLP rooftop is one of the most underrated views. 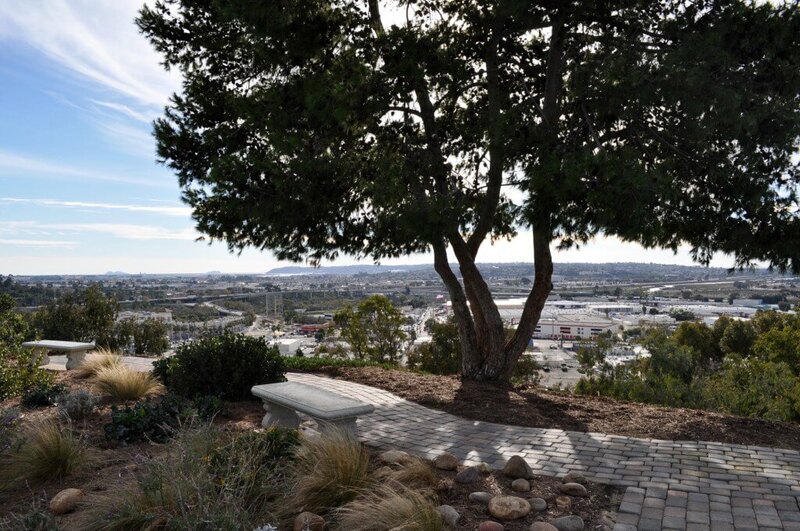 You can see a majority of campus from a birds eye view while you sit back and relax in a warm and quiet place,” USD senior Kevin Nelson said. In addition to the rooftop, most offices in the upper levels of the building have windows that frame the best views. Next time you’re rushing out of a student org meeting, take a moment to find one and soak in the beauty. Most students have at least one class in this building, but many don’t look past the boring classroom walls. 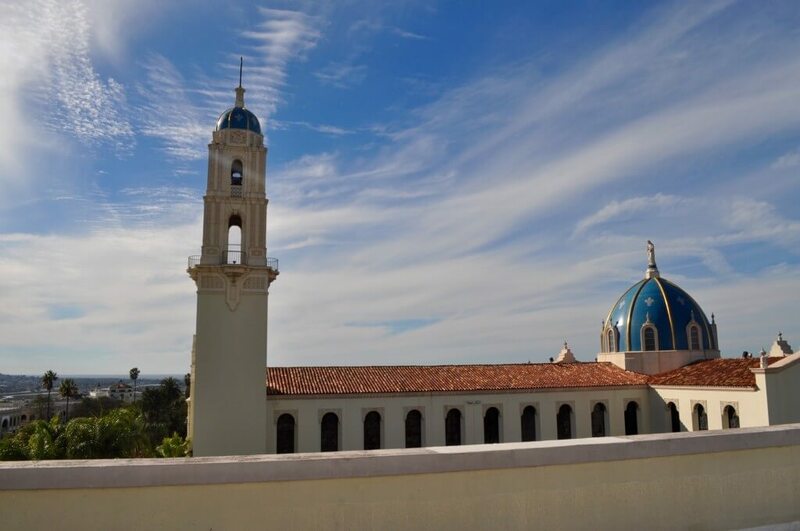 Find one of Serra Hall’s secret stairwells to adventure onto a whitewashed balcony with a colorful view. “[The top of Serra] is one of my favorite spots to photograph campus because you are able to capture the green lawns leading up to the Immaculata while also catching a beautiful sunset over the ocean,” Nelson said. Even if you aren’t looking to take professional shots, the view will surely blow away all of your Instagram followers. If you can’t find time to look up from your textbook, pick your study space real estate with a view. Most buildings on campus have a table or two near a window to give you a glimpse of breathtaking sights. My personal favorite — the cozy corner nook at one of Aromas’ few window seats, overlooking Plaza de San Diego, the Maher lawn and the steps of Serra Hall. 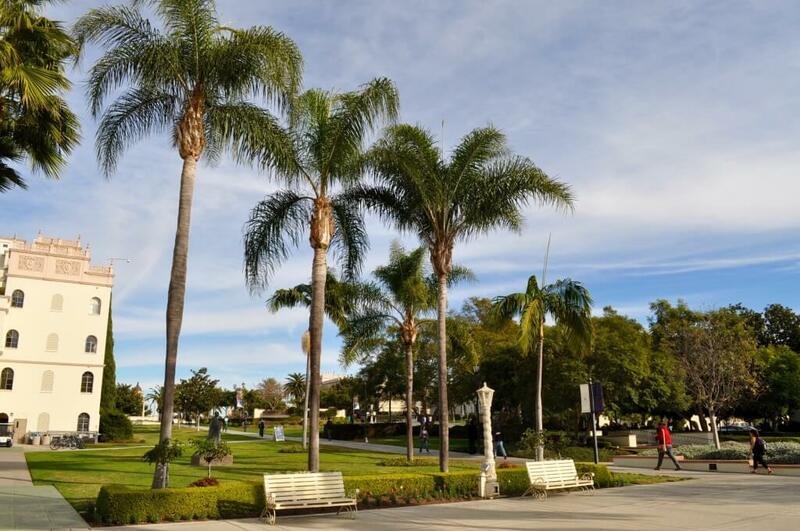 Catch of a glimpse of a freshman rushing from the Maher dorms to their first exam or act as a short-term spectator of a slackline tournament as a group unwinds among the palm trees. While USD views mean you never have to leave campus for a picture-perfect moment, sometimes a quick 10-minute trip is worth the change in scenery. JRDN Restaurant in Tower23 is the perfect college lookout when trying to escape finals stress. Separated from the party scene on Garnet, the restaurant is a calm place to refuel your stomach and mind. 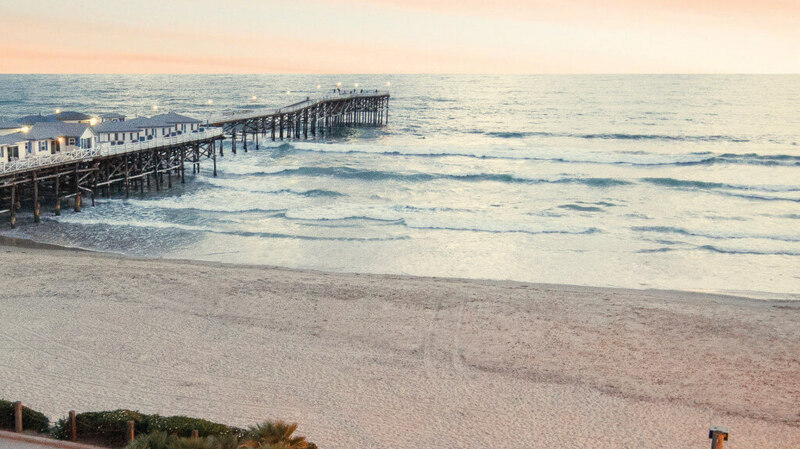 For our 21 and older classmates, JRDN has an incredible rooftop bar overlooking Pacific Beach. 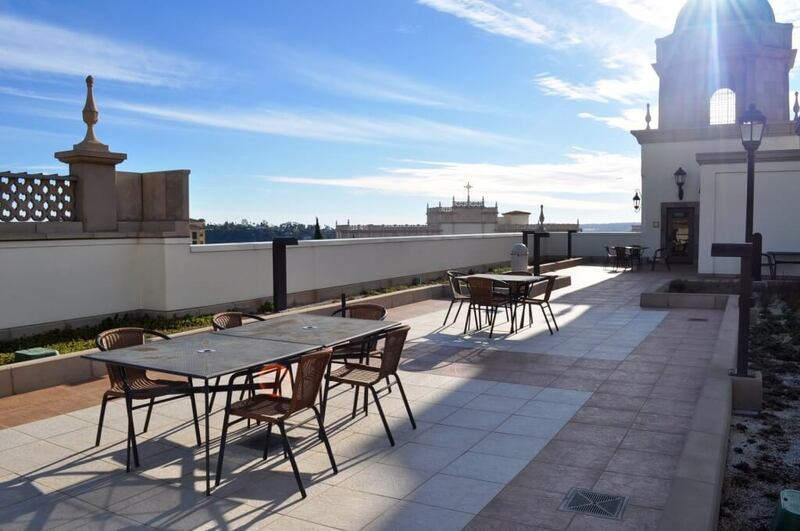 “[JRDN] is the perfect spot to enjoy a drink and the view. It makes me not think and takes my cares away in that moment in time,” Sarich said. Who knows, maybe chemistry studying could use a mixed drink or two? 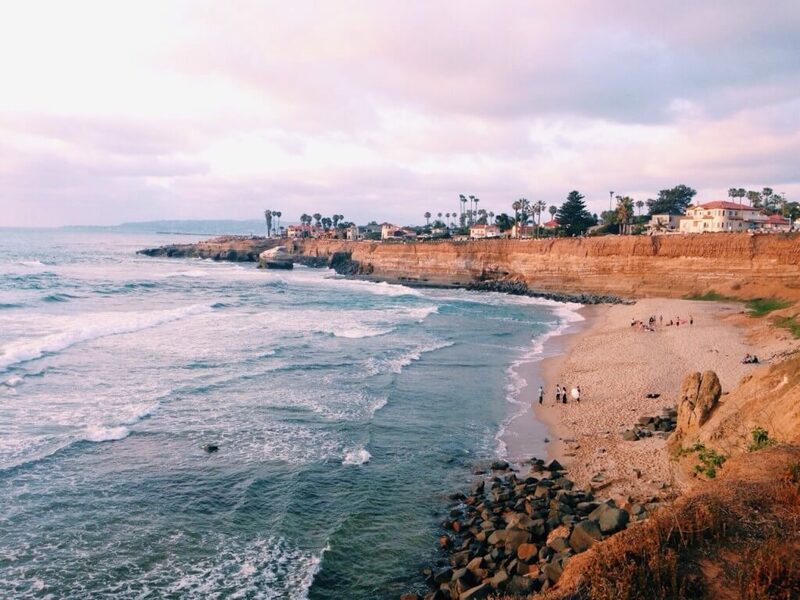 If you want to get away from boring lectures and stressful exams, consider a trek to Sunset Cliffs in Ocean Beach. Bring a blanket and sit on the rocks with waves crashing below your feet. “My favorite thing to do is meditate and journal when sitting [here]. I often think about my week, how grateful I am for everything that is happening in my life,” Belloso said. Want some guidance finding your pre-finals zen? Join some fellow stressed-out classmates for a Sunset Sunday with the iSIT: The Mindfulness and Meditation USD Group.